NOTAMS have their place in aviation. Where that place is is up for debate. 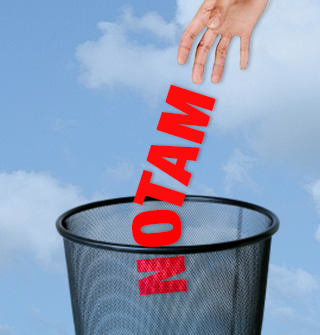 “That’s what NOTAMS are. They are just a bunch of garbage that nobody pays any attention to.” It would be a dramatic statement regardless of who said it. But this was Robert Sumwalt, Chairman of the National Transportation Safety Board (NTSB), at a hearing. Sumwalt had reason to be upset. An Air Canada plane had come within 13 feet of another airliner on a go-around after having made an approach to taxiway Charlie at San Francisco International Airport instead of runway 28R. The left runway was not illuminated, because it was closed. The pilots lined up with the right of the two remaining sets of lights. The frustrating part is the Notice-To-Airman (NOTAM) System is in place to help prevent exactly this kind of mistake. And the pilots did have a warning of the closure—on page 8 of their 27-page NOTAM report. People who design cockpits have picked up on the need to guard against information overload. If there is a light or horn to warn about everything, then nothing stands out. It is the same as if there were no warnings at all. A first step in NOTAM reform would be to review whether having fewer, more impactful NOTAMS might actually be an improvement in risk management. Chairman Sumwalt isn’t the first person to complain about NOTAMs. After Oklahoma Senator James Inhofe landed on a closed runway, he said that while “technically” pilots should “probably” check NOTAMs, it would be impractical for him to do so on the many flights he makes to small airports in Oklahoma each year. “People who fly a lot just don’t do it,” Inhofe told the Tulsa World. His complaint was that NOTAMs should be more accessible and easier to find. So, after his experience, Senator Inhofe championed the 2012 Pilot’s Bill of Rights. Included in its many provisions was a requirement for the “NOTAM improvement panel” which, among other things, created an online search tool to help pilots find NOTAMs. But the tool is clunky to use, and the FAA won’t allow you to use it until you have agreed not to make it your only briefing. They consider the tool not to be a “complete and accurate source.” The FAA wants you to contact Flight Service instead. So, Inhofe included a provision in last year’s FAA Reauthorization Act that all NOTAMs be posted in a publicly-available, central online forum. But there is another problem with NOTAMs. They appear to be written to serve the government rather than the reader. They often lead off with legalese stating their authority to place restrictions on airspace and the penalties for violation. We recently had an airshow at a nearby military field that closed our local airport intermittently. The FAA issued two separate NOTAMs that had to be looked at together to understand the closure times. That, plus the usual coded format, made them a real struggle to understand. Of course, each NOTAM started out by stating their legal authority for the airspace closure in all caps. Then, like all NOTAMs, they continued in the standard NOTAM language only a computer programmer could love. First, they gave the closed area as a radius around a latitude and longitude (backed-up by the seven-digit coded reference to a direction and distance from a VORTAC). Next, they stated the date and Greenwich Mean Times (GMT) of the beginning and end of the time periods, each coded with six-digits. Each NOTAM continued in all caps with three ungrammatical non-sentences to describe the purpose of the closure, and to state the rules. The fact that NOTAMs are extremely difficult to read once they do get in the hands of pilots is perhaps the biggest problem of all. The style stems from the 1850s, when communications were slow and expensive. It violates virtually every principle of good readability. To reduce the number of keys needed on the teletype machines of the time, they used all caps, which due to their uniform, block-like shape are difficult to tell apart from each other. Plus, to save space they used codes and abbreviations. All of this might have made sense in the in the 1800s, but today, in the age of huge bandwidths and of practically free communications technology, there is absolutely no excuse for it. Being stuck in the 1800s also means that NOTAMs don’t make use of the many very basic tools that the rest of the world uses routinely to make our written communications user friendly. Even something so simple as varying type fonts and headlines to show the organization of a communication helps make understanding much easier. Plus, of course, with the availability of images that can easily be captured and displayed on our handheld devices, there is no reason not to back up a description with a graphic every now and then. With the availability of computers, we should go even further and have “smart” NOTAMs. If a runway is closed, the system should, at a minimum, tell me about the runway closure before it tells me about the rest of the implications such as the localizer, glideslope, and lights all being out of service—if it tells me about them at all. Another feature of “smart” NOTAMs might be to give me information grouped in the context of how I will use it. There are some NOTAMs that would only be important in instrument or night conditions. If I am going to fly on a day, VFR trip, an unlighted tower 3 miles away wouldn’t be a high probability of being a problem. Considering the importance of their messages, NOTAMs should be the ultimate in accessibility, readability, and ease of use. In the rest of our lives, the tools we all use on a daily basis—the Internet, cell phones, tablets, digital maps—are improving continuously. The fact that NOTAMs have remained so substandard in this era reflects profound indifference and is a breach of faith and trust. Excellent points. Government still using a communications protocol based on 19th Cen tools! Would be laughable if it wasn’t dangerous. Thanks for the comment, Ellen, sometimes the old ways are not the best ways. Just a simple thought from a simple pilot. How about abbreviated notam’s and the full notam’s if more info is needed. Kinda like a briefing. Thank you all for all you do to keep all of us safe. Good idea, but how do you decide which NOTAMS to cut out in the abbreviated briefing? This should also be applied to TAFs and METARs. There is no excuse for the antiquated communication format used by these systems today. I totally agree on the TAF’s and METARS! Very thoughtful and reasonable suggestions for making a hopelessly unusable system usable. Not sure how “garbage in” is supposed to facilitate “safety out”. I misinterpreted one just the other day.. The super conscientious briefer took his time to find it to help confirm my interpretation… ,fortunately I had the NOTAM #, which helped!! The source that I got the NOTAM from read incorrectlly. Thank God for LEIDOS FSS !!!! Bless those briefers, especially the ones that really care! NOTAMS should be merged — plain language — into the clearances delivered by the upcoming CPDLC (“data link”) system, including how it affects traffic flow and instrument approaches. Shucks, the FAA should even include hyper links with highlighted changes and amendments presented right on those fancy glass displays for good measure. Agreed, and your solution would work very well. Hopefully not too far-fetched, especially with the rate that technology is getting better and cheaper. NOTAMs make sense…like ICAO Flight Plans make sense. I haven’t heard any complaints about that bit of stupidity. Since when has the United Nations ever promulgated common sense yet that is what we have adopted. About 10 years ago I wrote a letter about the readability of notams to the the Director of Safety at my local FSDO. I included a notam printed from DUAT. It was written in all capital letters, & all the sentences were run together. It was very difficult to read & understand. I also included a rewritten version of the same notam with all the same words. Only the initial letter of sentences was capitalized & other terms that are normally capitalized, such as VORTAC, NDB, KDTW, etc. I included an extra blank line between topics & indented the lines following the initial line for each topic. The above document explains why text using all capitals is harder to read than text in lower case. The same is true for notams. The FSDO director of safety said my rewritten version was orders of magnitude easier to read than the original notam, & that she would. pass what I had written up the chain of command. As you can see nothing has changed. Getting rid of the of the practice of making entire Notams upper case & running all the sentences together would not cost anything, & it would make it much easier for pilots to read them & much easier for the people who write notams to proof read what they have written. You make great points. We hope your proactive and productive recommendations are at least being reviewed. Wow what a great point! And a fascinating article from NASA. Even if we took our current conventions, kept them consistent and lower-case, that would make a big difference. How about airport name, Local time, What in ENGLISH not abbreviations. TAFs & others need the same treatment. No wonder I don’t read them. Put the coded crap (CDN) at the bottom, so if we CARE, we know where it is. Silver lining: Impressing your non-pilot friends with your TAF/NOTAM/METAR decoding skills. But in all seriousness, it needs to change. It’s not just NOTAMS. As a student pilot, trying to make sense of PIREPS has proven to be a futile undertaking. I can easily (finally) digest most of a METAR or TAF. But is ‘most’ really good enough?